Nestled in the hills between Jefferson and Todd on Highway 194, you’ll find St. Matthews Chapel. It’s a quaint little church, built in the early 1900’s as an Episcopal Mission. 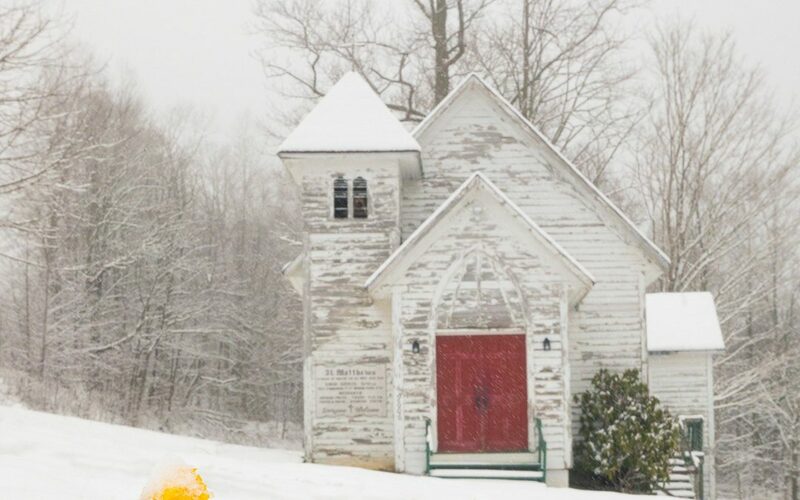 It’s always been a favorite destination for us on our “snow day” drives when we travel the roads of Ashe, Watauga, and Avery Counties in search of a beautiful image to create. March 2018 came in like a lion to the High Country with several doses of winter weather. 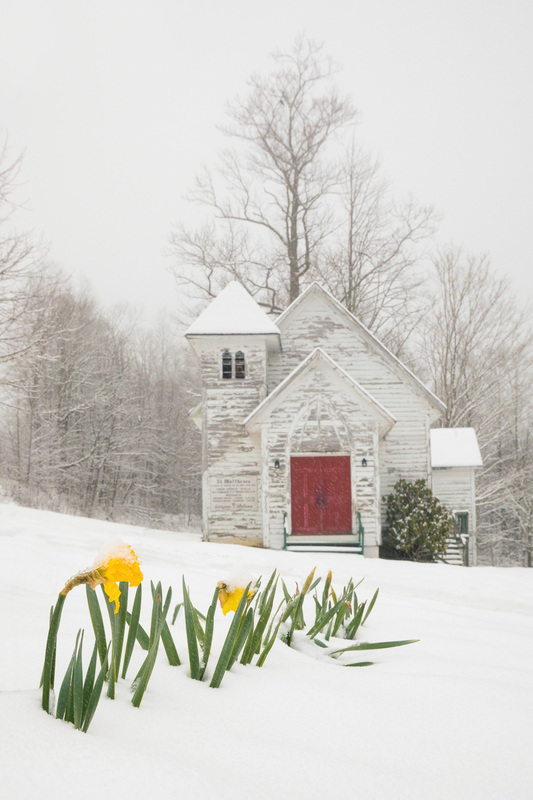 A late March snow blankets St. Matthews despite the daffodils proclaiming the beginning of Spring. I titled this image St. Matthews Hope. The blooming daffodils assure us that spring will indeed arrive. And the hope of a coming spring after a long, cold winter speaks to the desires of the good people who love St. Matthews. They need support in their efforts to restore and preserve St. Matthews’ beauty for many springs to come. Fine Art Prints are available for sale with a portion of the proceeds benefitting Friends of St. Matthews, a foundation dedicated to St. Matthews restoration and preservation. St. Matthews Hope will be printed on 100% cotton rag Fine Art Paper with 100-year archival inks. Hurry! Prices are discounted by 40% through April 4, 2018. (Discounted prices will show in your shopping cart.) We will donate 50% of your purchase price to the Friends of St. Matthews. Purchased prints will be mailed to you. The link below will take you to a shopping cart. Enter your email address. You’ll see the image St. Matthews Hope. Hover over or tap on the image. Click/tap on the little shopping cart icon at the bottom of the image. You’ll see the options for sizes/prices pop up. Click on “show discounts” for prices that are good through April 4. Link to purchase – Click HERE.